Our newsletter is published at the beginning of the month. Here are your headlines for the month of June. "Well, glad I'm done with that one! Whew! 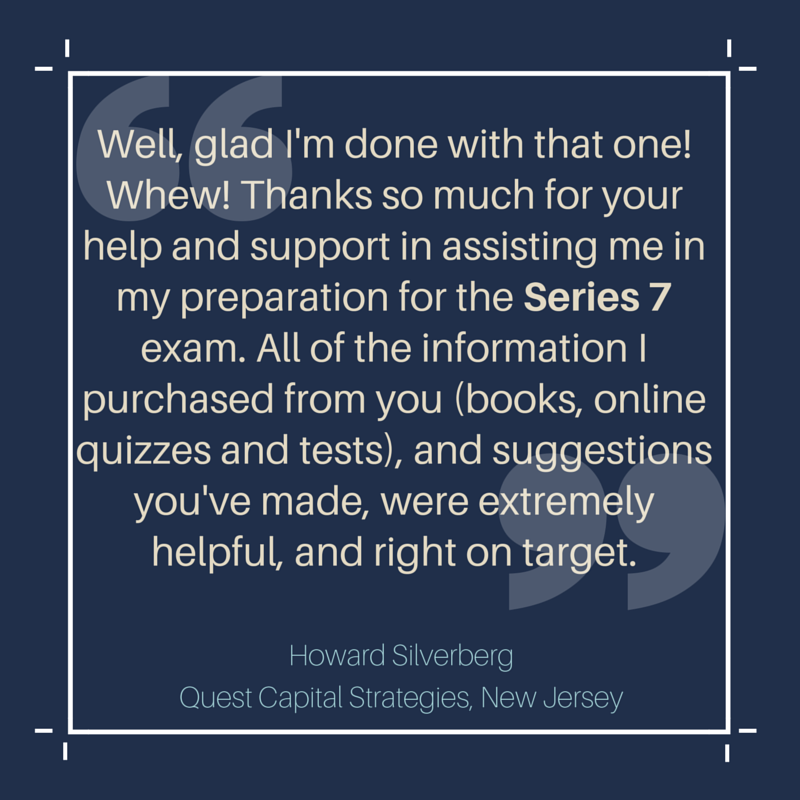 Thanks so much for your help and support in assisting me in my preparation for the Series 7 exam. All of the information I purchased from you (books, online quizzes and tests), and suggestions you've made, were extremely helpful, and right on target." Question: Which of the following is true regarding lost and stolen security reporting requirements? Rationale: All reports in which there is substantial belief that theft was involved should be reported to the Commission within one business day of such a discovery. In addition, when there is believed to be criminal activity involved, it should be reported to the Federal Bureau of Investigation. Securities that have been lost for two business days should be reported to the Commission when criminal activity is not suspected. Congratulations Roseann L., this month's Study Question of the Month winner! Effective June 26, 2015, FINRA will alter its rules regarding who will be considered a public or non-public arbitrator. The change will make it so that any arbitrator who has worked in the financial industry for any period of time will be considered a non-public arbitrator. On June 1, 2015, the SEC issued an investor bulletin about "diminished financial capacity", which refers to when an individual becomes unable to manage their finances. They recommend a number of steps for individuals to take to prepare for such a condition.